Minnesota Hotdish! 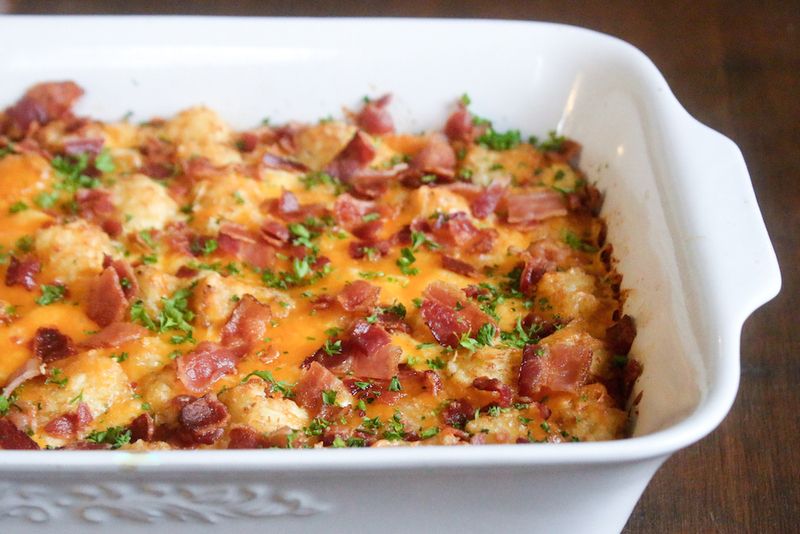 Tater Tots and Bacon FTW. Tater tots, a big bag of ’em. Like 2 lbs or so. Sharp Cheddar, shredded. About 2-3 cups. 1. Prepare a baking dish with cooking spray (or go full butter, I mean this isn’t health food) and preheat your oven to 350F. 3. Pour most of the cheese on top, reserve some. Mix it around with the tater tots a bit. 3. Whisk the milk and eggs together. Season with salt and pepper. Add a little onion powder and garlic powder for more flavor. 5. Pour the mixture over the tater tots. 6. Bake for about 30-40 minutes, until the cheese is all bubbly. 7. Sprinkle the reserved cheese on top and the crumbled bacon, then bake for another 5-10 until the cheese is melted and looking delicious. 8. Remove from the oven, sprinkle with the chives or parsley, let it cool for a few then gobble it up. Also, after you let it cool, you can cut it into squares and wrap each on in tin foil, then freeze. In the morning just microwave a square (without the tinfoil, obvs) for an easy breakfast. 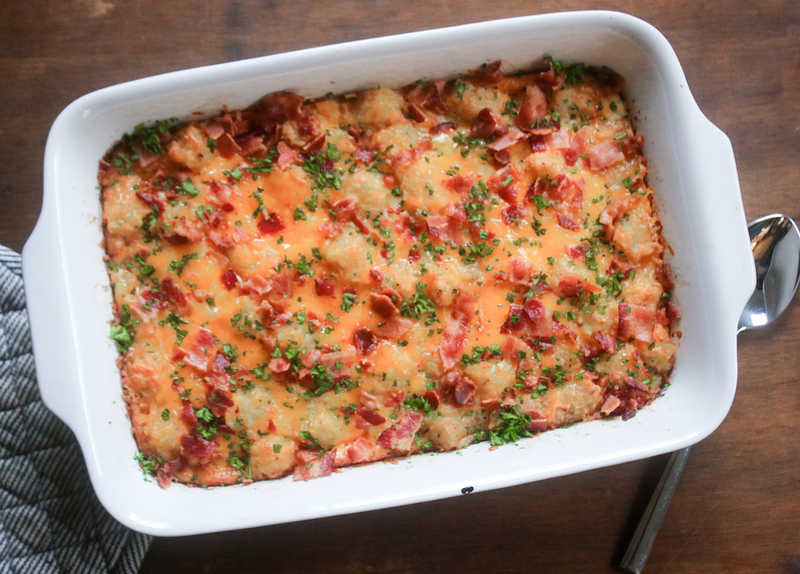 I’m gong to make this without the eggs (allergic) and include maybe ham instead of bacon. Look divine. It will allow the Hot dish to thicken as if the Eggs were in it. This looks sinfully delicious! I would have never thought up that combination but WOW, does it sound good!! Have to try it now!